Several nearby parks have the space and/or facilities to accommodate large groups looking for a place to have lunch before or after a visit to Fernbank Science Center. 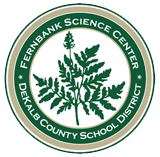 Please note that these parks have no affiliation with Fernbank Science Center or the DeKalb County School District. Availability and operating hours may vary. Candler Park - 585 Candler Park Drive NE, Atlanta, GA.
Ebster Park - 404 West Trinity Place, Decatur, GA. A large multipurpose field is a key feature at this five-acre neighborhood recreational facility. There is a small pavilion with tables and grills, basketball courts and a playground area. Glenlake Park - 1121 Church Street, Decatur, GA. A 17-acre park with picnic tables, grills and trash receptacles and a picnic pavilion. Medlock Park - Decatur, GA. Medlock Park is a public park maintained by DeKalb County. It features multiple ball fields, a playground and a picnic area.